After just over an hour of deliberation, earlier today a Union County jury convicted Oliver Allen (DOB: 02/22/91), an Elizabeth resident and confirmed member of the Bloods street gang, of multiple weapons offenses and obstruction of justice, according to First Assistant Union County Prosecutor Albert Cernadas, Jr. According to Assistant Prosecutor Joshua McMahon, who prosecuted the case, Allen was observed outside a verified gang house that had been the scene of multiple shootings and narcotics offenses when officers observed what appeared to be a weapon in his rear pocket. When the officers exited their vehicle to investigate, Allen fled and led them on a foot pursuit that included the gang member running across traffic on Route 1/9 and hopping the concrete divider. Allen was observed throwing a handgun that was in his pocket during the pursuit, which police safely recovered. Ultimately, Allen was caught and arrested a few blocks from the gang house. 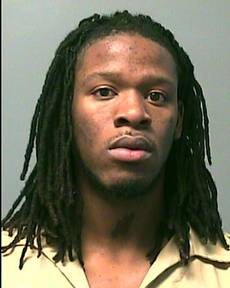 Allen faces 20 years in New Jersey State Prison for this most recent conviction, is already serving time in New Jersey State Prison on a separate offense and currently scheduled for trial with other gang members on a 14 count indictment for attempted murder, conspiracy, and weapons offenses. Allen, who is being held on $1 million bail will be sentenced by the Honorable Joseph P. Donohue on February 22, 2013.